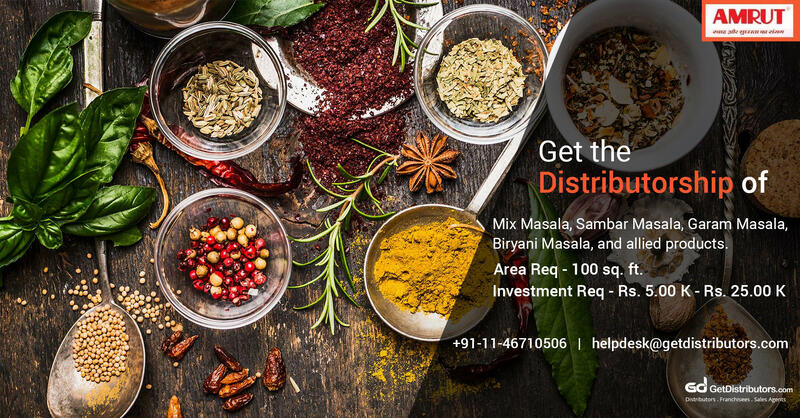 Established in the year 1976, Amrut Industries, based in Mumbai, Maharashtra, India is manufacturing and supplying a wide range of Garam Masala, Biryani Pulav Masala, Chhole Masala, Paneer Masala, Pavbhaji Masala, Sabji Masala and much more. These hygienically processed spices are highly admired by clients all over the country for their optimum freshness, long shelf life and 100% purity. To attain our objective of business expansion across the nation, we require dependable City level Distributors. The aforementioned list is not exhaustive.